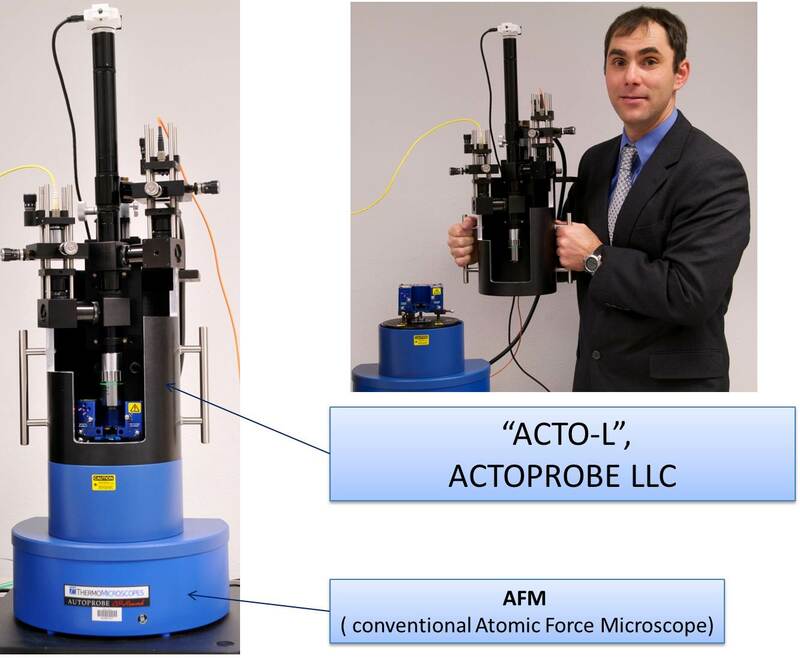 ACTO-L – The complete system which mechanically fit to an AFM, which include confocal microscope, X, Y, Z – translation stage, CCD-based spectrometer, light sources and necessary software. ACTO-L – An accessory for a Scanning Probe Microscope to do single molecular optical spectroscopy in semiconductor industry and biomedical research. ACTO-L is capable of producing AFM image with 1nm resolution and simultaneously perform optical spectroscopy with lateral resolution better than 500nm.